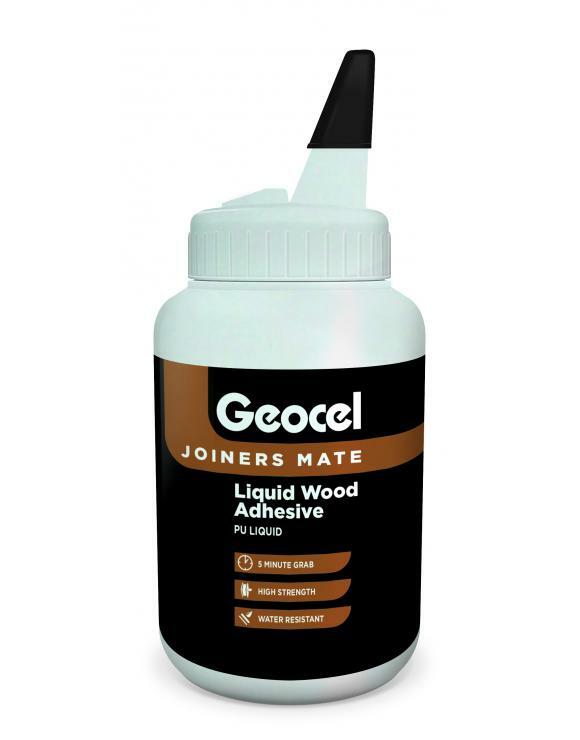 Geocel Joiners Mate liquid 5 minute wood adhesive is a one part, rapid curing, water resistant polyurethane adhesive for joiners. Product foams slightly on application to fill small gaps. Excess foam must be removed with acetone before it sets or with a sharp chisel once adhesive has set.